Money is a taboo subject in our culture, which means it can be tough for parents to know how to talk to their kids about it. But children are little sponges, and the lessons they learn about money may not be the ones you intend to teach them. Every single parent has had this moment. You have made it clear to your kid that they may not have the candy bar or Thomas the Tank Engine figurine or other coveted object du jour — but the fit they throw in the store is worthy of a gold medal at the temper tantrum Olympics, and it's easier to give in than fight your sobbing child all the way back to the car. We all know this is the wrong move, but some days your nerves are stretched to the breaking point and it's just easier to buy the candy bar. However, making a habit of caving to a tantrum can lead to a child who rivals Veruca Salt in feeling entitled to anything and everything money can buy. The best way to head off an incipient I want it NOW temper tantrum — and thereby teach the difference between needs and wants — is to recognize that to your child, this is a big deal. For instance, with my own kids, I will often respond that the candy bardoes look delicious, but that it's going stay at the store and not come home with us. Similarly, I encourage my kids to say "bye-bye" to toys or books they want me to buy, giving them the opportunity to make the transition from coveting the item to letting it go. It's not a foolproof method, but it does help them to at least have a framework for letting go of wants that they can't have. Knowing how much to tell your kids about big topics is something that all parents grapple with, and money is no different. That's why many parents end up simply falling back on stock answers like "We can't afford it" when their kids ask for something. How You Teach It: Saying "We Can't Afford That." The problem with doing this is twofold. On the one hand, it can make kids feel resentful about how money is spent in the family if they do not understand why you make the financial decisions you do. They might notice that their sibling got new shoes but you couldn't afford the video game they wanted that cost the same amount. In addition, hearing that something is unaffordable can make kids worry about money and start focusing on instant gratification. Kids who hear that their parents can't afford something are learning that money is a scarce commodity and that it should be used up quickly when it is available. The big problem with the scarcity mindset is that it leads to zero-sum thinking and takes control out of your child's hands. If your teen wants to go on a ski trip with her friends, saying "We can't afford that" simply shuts down the entire discussion and makes her think that things might be more affordable if it weren't for that bratty little brother of hers. Instead, you could ask your teen "How can you afford this?" and put the control right back in her hands. That will allow her to start thinking of money as something she can earn and control, rather than something that controls her life. Your son has spent all of his allowance for the week when he is invited to go to the fair with his friends. Even though you swore you wouldn't give him an advance on next week's allowance again, you hand over some cash so he doesn't miss out on fun with his friends. This is such an easy habit to fall into, but it's a terrible lesson for your child. Watching your kid miss out on something — even if the problem is their own making — is tough for parents. You want to give them a fun childhood. 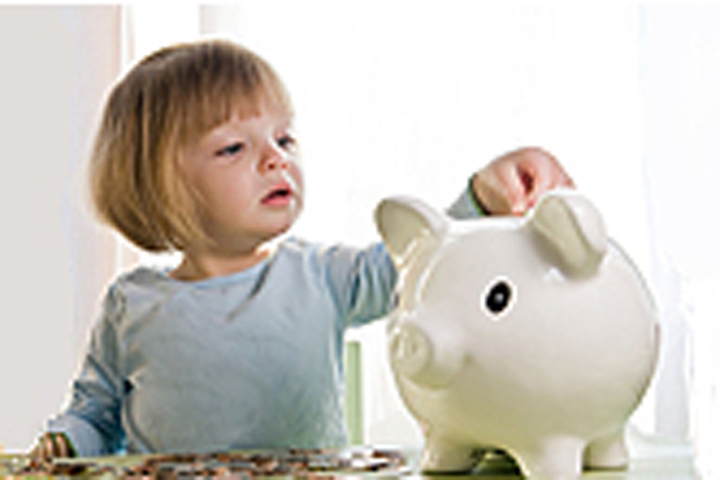 But it is so important for children to learn that financial decisions have consequences, and spending all of their allowance money as soon as they have it means there's no money for other opportunities. It is far better to learn the lessons about financial planning when the stakes are low than when your child is an adult and has to ask you for rent money. Feeling the disappointment of missing out on the fair and understanding that you are not there to bail them out of financial woes is a lesson that will stay with your child — and keep you from having to maintain the bank of Mom and Dad into their adulthood. Unloading about your terrible day at work is a natural reaction to stress. It's not a big deal to let your spouse and family know that you've had a tough day and that no one is to say the word "spreadsheet" within your hearing for the evening. The problem is when the only way you talk about work is through complaints. This teaches your children that work is a chore that must be gotten through in order to collect a paycheck. And while work can sometimes be that, it can also be a satisfying career, or even a higher calling that energizes you. Even if you do not have that kind of relationship with your job, you do want your kids to know that it's possible. One of my favorite parts of the truly terrible final episode of How I Met Your Mother was the running gag about how much the character Marshall hated his corporate law job, but refused to say anything negative about it. Instead of complaining, he would say that his chair was reasonably comfortable and that he didn't cry at work more than twice that week. Though this is clearly an exaggeration, it is a good method to adopt when your job is stressful. Not only will you remember the good things in your job — even if it's just the fact that you're grateful to have a paycheck — but it will also help you remember that your kids are learning about the world from you. You don't want them to think growing up is the worst thing in the world. Money habits are often picked up unconsciously, rather than taught. Instead of letting your children unknowingly learn negative financial habits, make sure you are intentional with your money lessons. It will pay off in the long run, even if it does cause more temper tantrums in the short run. Are you teaching your kids these — or other — bad money habits? What are you doing instead? Does your personality type determine your income?